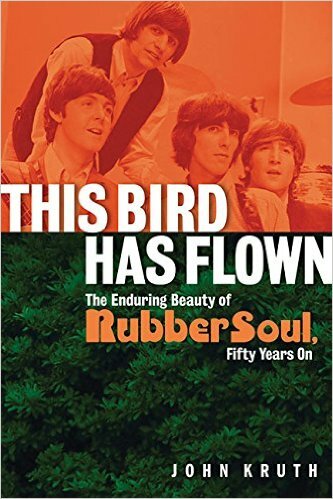 The newest book, This Bird Has Flown: The Enduring Beauty of Rubber Soul, Fifty Years On by New York City based musician, bandleader, author, and music professor John Kruth is an answer to this challenge. The choice of writing about this album was, for Kruth, strategically meaningful. Rubber Soul was, for the Beatles, a game changer. Its acoustic emphasis came at the same time that Bob Dylan embraced electric instruments. With Rubber Soul, they said a very permanent farewell to the “Fab Four / Mop-Tops” and embarked upon the path of serious musicianship, and immersion into meaningful artistic statements. There is some “play by play” in the book. The structure of the book focuses in a somewhat linear fashion on individual songs, and the progression of the book walks the reader through a timeline of the songs compositional period, recording and production, and the impact it made on the musical world. I can’t help but be reminded of two books on Jimi Hendrix; Midnight Lightning by Greg Tate, and Crosstown Traffic: Jimi Hendrix and the Post Rock & Roll Revolution by Charles Shaar Murray. Tate and Murray both explored alternative perspectives of the great master guitarist, focusing not only on his music, but cultural and historical significance. Like Tate and Murray, Kruth succeeded admirably in presenting a legendary subject in a manner that speaks of a view simultaneously academic, worldly and personal. His detailed research and scholarship come across in a conversational, as opposed to academic manner. There is no pretension here, no dry and spiritless academia, no distance between writer and reader; just an honest and sincere look at a musical masterpiece and cultural game changer. 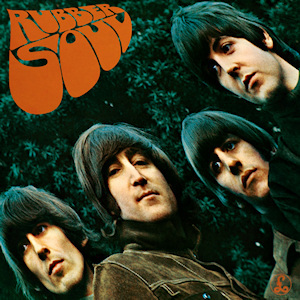 Rubber Soul is viewed through the lens of it being a cornerstone of a series of musical turning points where, once reached, there would be no turning back. Ultimately, the book holds the potential to inspire readers not only to a more universal perspective on the subject, but also, perhaps, to not only study history, but participate in it. Kruth’s contribution to the world of Beatles literature will doubtless prove it’s immense and irreplaceable value. John Kruth’s #9 album – all of the songs were either inspired by or written during his many travels to Croatia since 2003.